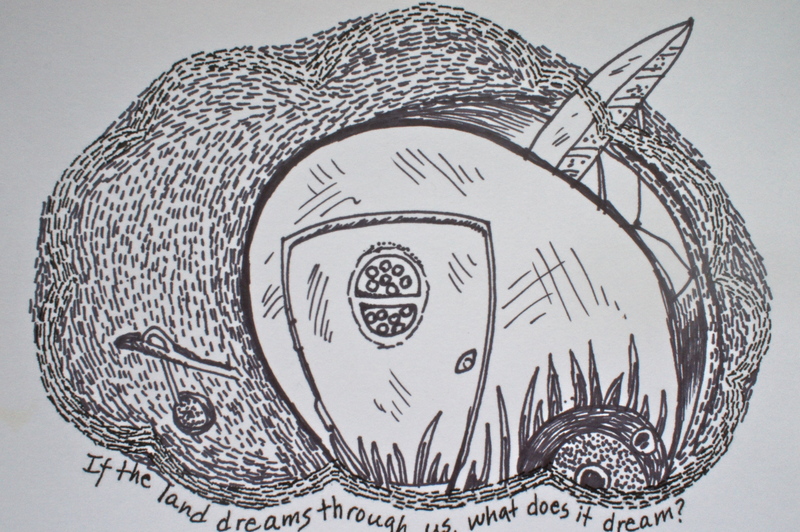 Radio Dreaming is a 5-part Radio Adventure for Sound art and community radio, exploring edible landscapes, wild dreams and myths of the land. To launch the series Claire and Anna return to its place of origin at Marble Arch Caves Global Geopark in Éire/Northern Ireland in April-May 2013. More about their Radio Dreaming Tour and the Place Dreamer Pod. Approaching an Exchange is a site-based, participatory project embodying an intercultural, inter-temporal “exchange” with the original inhabitants of prehistoric archaeological sites. More…. During our walking journeys and explorations of the Avon River, Anna recognized motion as our constant companion. Could we harness this motion? More….